As a kid, no one really talked about “dreams” or the potential for what I could do or be. I found writing by accident when I wrote a school assignment in 8th grade and it made my friend’s mother cry. I was astounded that something I wrote could make someone feel so deeply! I liked that. I wanted more of that. But I didn’t start writing in earnest until about 8 years ago. The only other true passion I have is psychology. It depends on the book and on the deadline! I wrote MIRAGE over the summer of 2013. MIRAGE and ILLUMINATE (book 3 in the Light Key Trilogy) were both written extremely fast; in less than 4 months. Normally, I’ll take about six months to draft and then another month or so to revise before my agent sees it. Themes are very important to me as a writer. Often, it’s the theme of what I’m writing (like with my paranormal series) that keeps me fired up. Sometimes, the themes emerge in the writing. For instance, with the most recent book I’ve written, I realized I was writing about “freedom” but I didn’t know that at the outset. When you recognize the themes in your work, it allows you to integrate more ways to express the theme in the story. It’s another layer. Until I recently took on a new day-job, I wrote while my kids were at school. Now, I write after lunch until late afternoon and then sometimes on the weekends. 5. What elements do you think make a great story line? A driving question that keeps you turning pages because you must know the answer. Very realized characters who you care about. Universality—something that people can relate to because we’re all human. All the choices! Every single decision takes your work in a certain direction. I can obsess about every choice to the point that it can be debilitating. I have to remind myself that I can always go back and “unbraid” what doesn’t work and fix it. Trying to avoid that is crazy-making. I just finished my eighth book. Picking a favorite is really hard because each book has it’s own particular challenge. 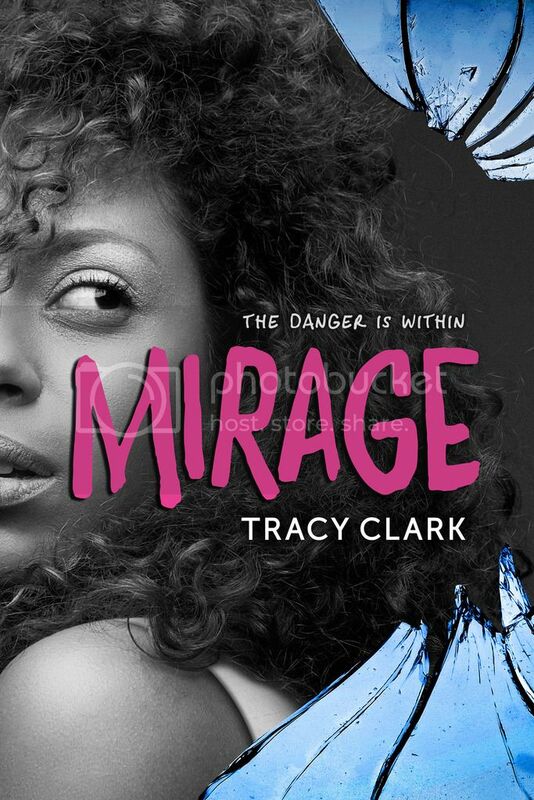 Right now, I have to pick MIRAGE, not because it’s the most recent but because when I pitched the idea to my agent, both of us were unsure whether I could pull off a particular element. I’m happy to say that I rose to the challenge! Doing something you weren’t sure you could do is a great feeling. Ryan is fierce! I love that about her and writing MIRAGE was a blast because I got to inhabit her. I also have a real soft-spot for Mari, one of the side characters in my paranormal series. She said everything I’d want to say. I think it boils down to this: I love mouthy girls who are authentic and unabashedly themselves. I recently moved to a new house and no longer have a dedicated office so my office is in my bedroom. Most of my writing is done there. When I need a change, I move to the couch. I can’t write in public spaces because I’m too easily distracted. From the beginning I was focused on being traditionally published and was advised to do so. At the time, self-publishing was kind of new and carried something of a stigma so I shied away from it. Things have changed! Nowadays, there are many amazing, talented indie authors as well as “hybrid” authors who do both. In fact, I’m very seriously considering doing both very soon. Diversification can’t be a bad thing. My family has been SO supportive! I have two teen kids and to have their thumbs up on my YA books means the world to me! Wait… there’s other stuff to do besides write? J I live in a beautiful area near Lake Tahoe. There’s tons of outdoor activities here and I love to hike. I’m also a private pilot, though I have to admit that I’m woefully due for some airtime! I love to hang with my fiancé and kids and my goldendoodle, Gatsby. If you follow me on instagram, you’ll see I take way too many pictures of that dog. Start. Just start. You will only get better by doing. Different books require different readers. I might find a beta reader with a particular expertise so I can make sure I’m doing the best I can with representation or research. Through all of my books, my go-to crit partner has been Heather Petty (LOCK & MORI.) She’s tough as hell and has made me better over the years because she’s so damn awesome. Always! 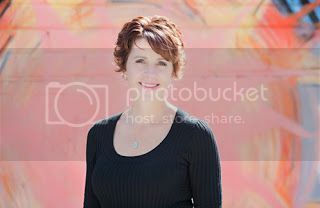 I’m juggling a new YA and something new for me; an adult romance series. Abuse of others in any form. (Also file under: angry) Unfettered cynicism. An empty champagne glass. Missing people. Negativity. Well, in 2010 I went to Ireland and so much of that trip was used in writing the Light Key Trilogy, especially SCINTILLATE. There are a few scenes taken from notes I scribbled while on that trip! 3 winners will receive a finished copy of MIRAGE, US Only.